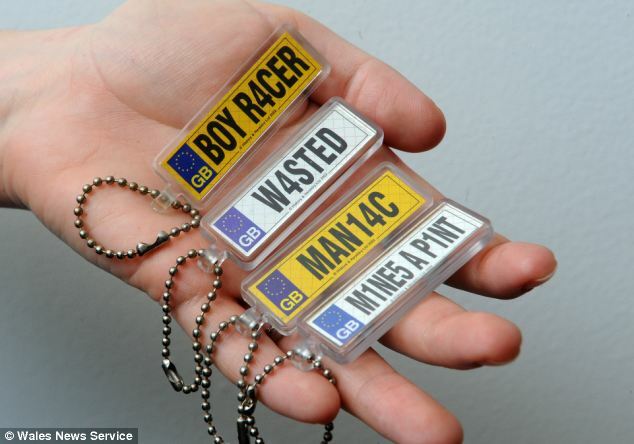 Motoring chain-store Halfords has been criticised by road safety groups for selling key rings apparently promoting drink driving. 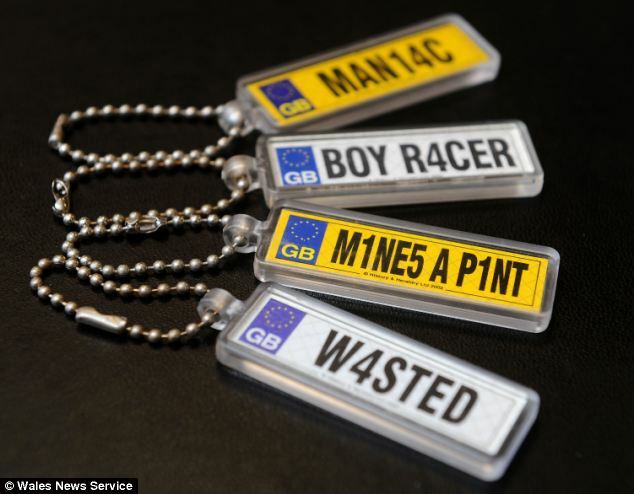 The stocking-fillers are being sold at several stores across the UK with slogans such as ‘M1NE5 A P1NT’ and ‘W4STED’ on them. Ellen Booth, senior campaigns officer for road safety charity Brake, said they send out ‘a very irresponsible message’. ‘They make light of a serious problem on UK roads – traffic is the biggest killer of young people. ‘A combination of age and inexperience, means that young drivers are hugely overrepresented in road crashes. She stressed it’s particularly important to send out the right messages to young drivers as they are more likely to take risks and are less able to deal with the consequences of the risks. ‘That’s why it’s so important that we send out the right messages to young drivers – that risk taking on roads is deadly serious. Hundreds of people are killed while drink driving each year, with 230 fatalities recorded in 2011 alone. Pam Hatton, 42, said she was shocked when she saw the key rings in one of Halford’s stores. They were spotted in Cardiff store but are sold in many of the motoring chain’s other stores. ‘I couldn’t believe it,’ she said. ‘I can’t believe a responsible company would be so stupid as to encourage this kind of behaviour. 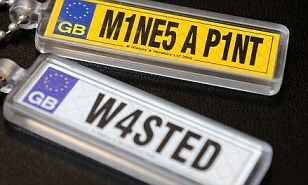 Neil Greig, director of policy for the Institute of Advanced Motorists said: ‘These are silly gifts for silly people. 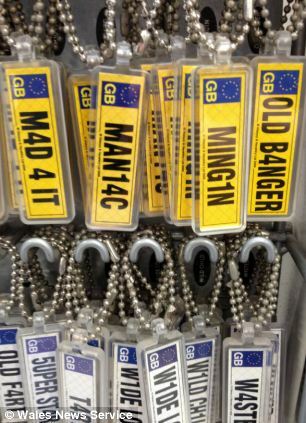 ‘Clearly these keyrings are totally out of touch with most people’s views on driving – sadly safety messages aren’t seen as being as cool as this sort of thing. They can’t be banned, so our simple message is don’t buy one. The Government advises that any amount of alcohol affects your ability to drive and say ‘it’s better to have none for the road’. A conviction for drink driving can lead to a fine of £5,000, a minimum 12-month driving ban and a criminal record. The Institute of Advanced Motorists say being caught drink driving could cost between £20,000 and £50,000 in fines, solicitors fees, increase in car insurance and loss of job. 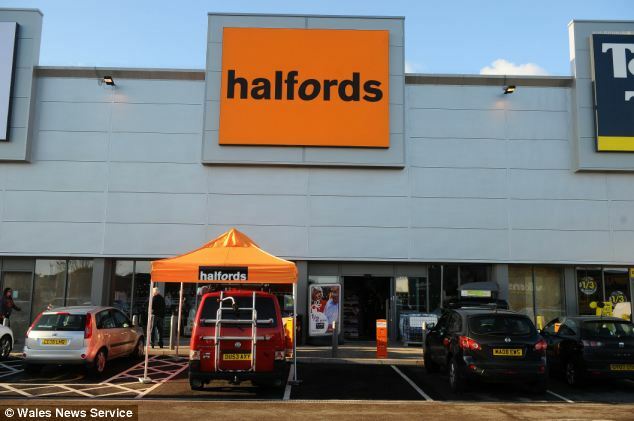 A Halfords spokesman said: ‘We take the issues of road safety and drink driving very seriously. Our consistent and strong advice to motorists is not to drink and drive. 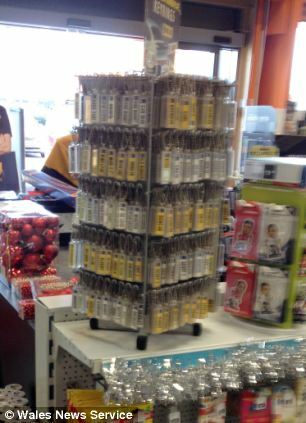 ‘The keyrings are popular with our customers who see them as a fun item and the slogans are not meant to encourage irresponsible driving at all. 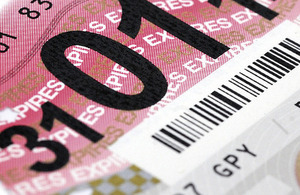 In an odd move the DVSA announced this week changes to licence entitlements. If you’ve only had a licence for an automatic car you can only drive an automatic vehicle. So you’d say, take a test in an automatic bus/HGV and you can only dive an auto bus/HGV. if you have a manual car licence and pass an automatic bus/HGV you CAN DRIVE A MANUAL bus/HGV. When I questioned Trevor Outram northern area manager to the DVSA his response was “the DVSA believes if you know gears you know gears” my response was agreed with by him. “there are plenty more gears in an HGV than a car. You kinda need to know when to use what and why. Still, an interesting evenings meeting. Other things were covered but none that are of use to “L” drivers at the moment. Christmas opening hours for driving tests. Below are the Christmas opening hours for the newly named dvsa. Test will go ahead unless conditions (weather) prevent them due to safety. After all a winter test has to be equal to a summer one. Updated the dates and information for Christmas 2013 and New Year 2014. The Driving Standards Agency (DSA) will close at times over Christmas and New Year, but its online services will be available as normal. DSA will be operating a normal service up to and including Tuesday 24 December. You must give at least 3 clear working days’ notice to change your test date or cancel it, or you’ll have to pay again. Sundays and public holidays don’t count as working days. The tables show the last dates you can change or cancel your test. The date will depend on where you take the test, and whether you’re doing it online or by phone. Let’s be honest, drink and drive and you deserve what you get. I myself was hospitalised for 6 weeks, left in a wheelchair for months, couldn’t walk properly for a year and still can’t run far. BBC Look East reporter Mike Liggins downed a couple of glasses of wine, and then a couple more, right under the noses of senior police officers to find out just what effect alcohol had on his skills as a driver. For years the number of deaths linked to drinking and driving had been falling until last year, when it went up. Across the UK nearly 300 people were killed and more than 1,200 were seriously injured in drink-related accidents. A motoring organisation has criticised the drink-drive campaign which rewards people who report offenders with payments of up to £200. The RAC has said the Christmas safety campaign, which is being led by West Midlands Police and Central Motorway Police Group, has a “lot of issues” about how it is enforced. Money will be offered to anyone whose information leads to a conviction. The forces said they hoped the campaign would save lives. They added they also planned to release photos of all drivers found guilty. So the government intends to abolish the tax disc from next year. The anonymity this give means the average person doesn’t know whether a vehicle is taxed or not. In other words only the agency and the police will know. Today (Thursday 5 December 2013), the Chancellor of the Exchequer announced that the government will change the law in 2014 to reduce tax administration costs and burdens associated with vehicle tax. Find out all the latest about the Autumn Statement 2013. Please don’t include any personal or financial information, for example your National Insurance or credit card numbers.